All steps of our Adoption Process must be completed before you can be considered for any dog or scheduled for visits. If you are mid-process or just wanting to learn more about IGs first, come to one of our area play dates or upcoming events to meet our dogs! Step 1: Your Application. Applications are processed by where YOU live, not the location of the IG you are interested in. If you live in Texas or Oklahoma, please finish reading these steps and then fill out the application below. For applicants that do not live in Texas or Oklahoma- please find your state's Representative here to inquire about adopting through your state; we cannot process out of state applications. If you are interested in a dog outside your area, your local coordinator will put you in touch with that IG's Rep once you are fully approved and after local options have been exhausted. PLEASE NOTE- We do not ship and we do not do adoption transports. Out of state adopters must be willing to travel to Texas to meet the IG of interest in his or her foster home. Step 2: Reference checks. We do call your vet and personal references, so please be sure to provide names AND valid phone numbers on your application. It is also helpful if you alert your personal references AND your veterinarian that we will be calling. Some vet offices will not release information without your verbal consent directly to them, and this can really hold up your processing. We will not move forward without this information so please provide it up front. Please also double check your records to be sure your current pets are up to date on all recommended annual health maintenance. Step 4: Home Visit. One of our volunteers will come out to visit with you, your family, and your current pets. Please be sure everyone that lives in the home is available for this visit. We DO NOT come with white gloves on-please don’t spend days preparing for us-we understand that people LIVE in their homes! We will inspect fencing as well as browse the overall environment the dog will live in. We typically bring an Italian Greyhound along for the visit since this may be a first encounter for many adopters, but this is not always possible. We do not bring the foster dog you are interested in. Step 5: MEET DOGS!!! Once you have been approved, you may begin meeting dogs. Once we learn what dogs you are particularly interested in we will work with you to decide which ones would be a best match for your lifestyle and desired traits in your new IG. We will then put you in touch with those foster parents and they can tell you about daily life with their particular foster dog. All meetings will be scheduled between the two of you. Local dogs require TWO visits. The second visit can be to adopt the dog if the first visit went swimmingly! Please plan at least an hour for your visit or two hours if you are driving from out-of-town. Some dogs are more shy and may require more time and even extra visits. If you are considering an IG that is located a couple of hours away in each direction, we will consider a 1 visit adoption. We know our process seems lengthy but it typically moves pretty quick, so please don’t be discouraged. One of the reasons we have so many IGs in Rescue is because their previous owners did not realize they were not getting a typical ‘rover.’ Remember-this breed is not for everyone. Our process ensures that you have been given as much information as possible to make the right decision AND that we have as much information as possible to help you in doing just that. 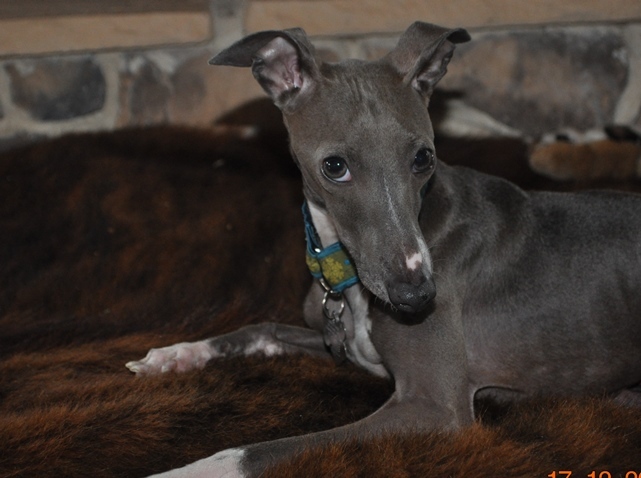 Italian Greyhounds can live well into their teens, so it is important to find the right fit for a lifetime! PLEASE NOTE- DUE TO TRAGIC YET PREVENTABLE ITALIAN GREYHOUND DROWNING DEATHS, WE ARE NO LONGER PROCESSING ADOPTION APPLICATIONS OR FOSTER APPLICATIONS FOR ANY HOME WITH A DOG DOOR THAT LEADS TO AN AREA WITH AN UNFENCED POOL. If you have plans to permanently secure your pool with a fence or other acceptable barrier, we will be happy to process your application when that is complete. For further details about IGs and pool safety, please click the IG Safety tab above.